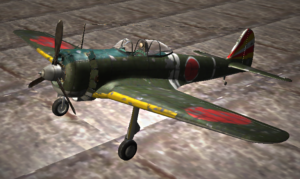 The Nakajima Ki-43 Hayabusa (隼, “Peregrine Falcon”, “Army Type 1 Fighter” (一式戦闘機)) was a single-engine land-based tactical fighter used by the Imperial Japanese Army Air Force in World War II. 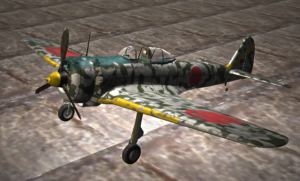 The Allied reporting name was “Oscar“, but it was often called the “Army Zero” by American pilots because it bore a certain resemblance to the Mitsubishi A6M Zero, the Imperial Japanese Navy’s counterpart to the Ki-43. 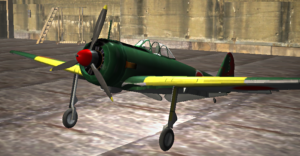 Both aircraft had generally similar layout and lines, and also used essentially the same Nakajima Sakae radial engine, with similar round cowlings and bubble-type canopies (the Oscar‘s being distinctly smaller and having much less framing than the A6M). 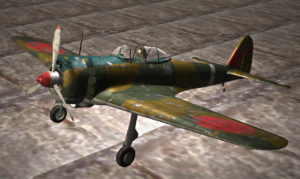 While relatively easy for a trained eye to tell apart with the “finer” lines of the Ki-43’s fuselage — especially towards the tail — and more tapered wing planform; in the heat of battle, given the brief glimpses and distraction of combat, Allied aviators frequently made mistakes in enemy aircraft identification in the heat of a dogfight, reportedly having fought “Zeros” in areas where there were no Navy fighters.